Christmas is time spent with family and friends. Who can resist the laughter, the stories, the food, and above all, the company? It motivates people to endure tedious traffic to go and be with their loved ones. Nobody loves traffic jams, especially during the Christmas season. Knowing what roads to take or avoid, planning ahead for the best time to leave and the shortest travel time to arrive at a destination is one Christmas treat we all want. Waze, the world’s largest community-based traffic and navigation app, collected data over the past year and has come up with the date and the hours of the day when traffic is at its worst. The data includes places that increased in traffic during the holiday. In the hands of a seasoned driver, this information will shorten travel time so families can spend more time together. 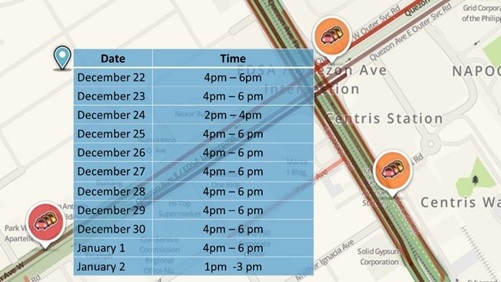 Waze has also come up with a report on Philippine cities that had increased traffic over the holidays. 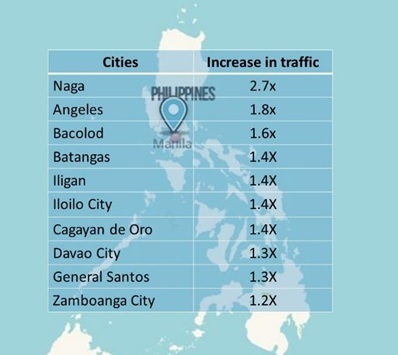 With the exception of Angeles City in Pampanga and Naga City in Bicol, most cities with increased traffic volume are found in the southern part of the country. If you have plans to go through these areas, best schedule hitting the road earlier than usual or just go somewhere else to celebrate. But if staying away from these places is not an option, Waze has a solution - Planned Drive. The function gives drivers the estimated time of departure and arrival. Earlier this year, Waze and Spotify announced a partnership to bring your favourite Spotify playlists into the Waze app. With the integration in full swing, your commute, road trip or holiday-related traffic jam becomes much more enjoyable, especially as Wazers get into the holiday groove with Spotify! 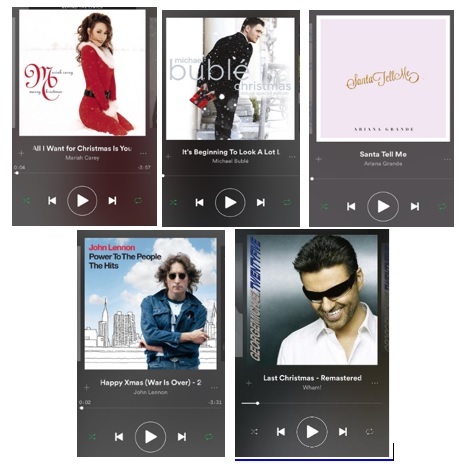 It’s no surprise that our favorite diva Mariah Carey has topped the list with “All I Want for Christmas Is You”. 5. “Last Christmas – Remastered” by Wham! In the unfortunate event that Santa’s sleigh breaks down, Waze can help plan your trip from Philippines to the North Pole to get your gifts. Based on Filipinos’ average driving speed, it will take about 22 days to reach Santa’s house. In APAC, Philippines is ~1,400KM closer to the North Pole than Singapore, yet Filipino drivers take 8 more days to get there. Globally, Italian drivers are among the fastest in the race to the North Pole. As for your return trip to ring in 2018, Waze recommends avoiding the roads between 3pm – 5pm on Sunday, Dec 31, especially if you’re hoping to make it back home in time for your New Year’s Eve party. 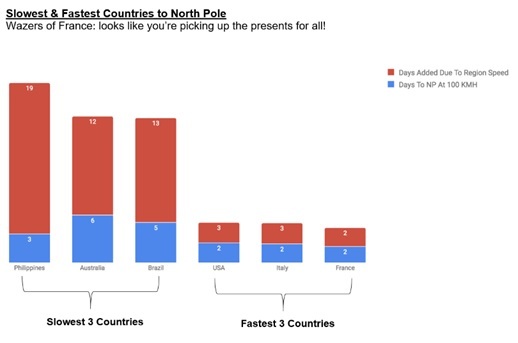 In a race based on Days to NP at 100 KPH and Days Added Due to Region Speed, Waze ranked the Philippines, followed by Australia and Brazil as the 3 Slowest Countries, while USA, Italy and France, no surprise there, as the 3 Fastest Countries to reach the North Pole. 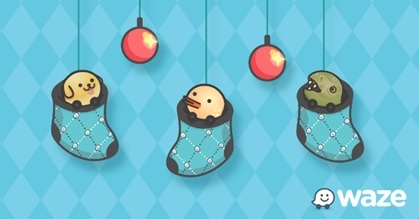 Enjoy this holiday season and let Waze and Spotify be your best road companion wherever you may go to celebrate. Download the Waze and Spotify from the Play Store or the App Store. For more information, please visit the Waze at www.waze.com. Waze is the social navigation pioneer, leveraging mobile technology and a passionate global community to redefine expectations of today’s maps. Waze is home to the world’s largest network of drivers who work together daily to outsmart traffic and save time and money. The app consistently recommends the fastest routes based on real-time driving and data from millions of users. From traffic reroutes to low gas price alerts and relevant offers from favourite brands, Waze is one of the most comprehensive driving companions in the marketplace. To download the free Waze app for iOS or Android, visit http://www.waze.com.